Microgaming slots on mobile are easy to navigate, instantly recognisable and they’ll make you fall in love with them. Familiarity and reliability are the core foundation of this casino software review. Reading through the list of Microgaming mobile slots below, you’ll probably recognise some of the big hits in the online slot world. Chances are some of these casino slot games are already your favourites, or if not, soon will be. 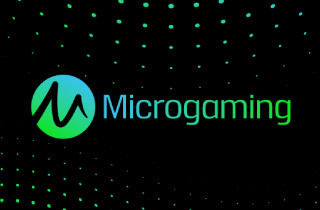 Around since 2008, Microgaming is undoubtedly one of the biggest casino game providers in the world. We’ve yet to come across a Microgaming mobile slot or game that did not work seamlessly (something that cannot be said for all the other gaming providers). They might not always be the flashiest casino games, but they are reliable and good fun. Microgaming’s casino software is unparalleled. The granddaddy of online casino games, it’s had years in the market to perfect it’s craft. These include more than 600 unique games, award winning Microgaming casinos and the largest progressive jackpot slots network, which has paid out nearly €400 million in total. Not just that, but it has led the way in fair gaming, ensuring that casino operators behave in the best possible standards so that players like you can play in a safe environment. It’s mobile slots and games are more commonly known as ‘Microgaming Go’ games to differentiate them from the standard online slots. 1. There is a habit amongst casinos out there to be primarily Microgaming mobile casinos. This means they all look identical. If all that the casino sites are able to provide is Microgaming games, then chances are, the template will be exactly the same as any other Microgaming mobile casino. No style, no individuality, just a ‘do it yourself and change the colour to match the logo’ set up. This means that as mobile and tablet gamblers we get limited casino slots and games and a feeling that we’re an afterthought to the main online casino itself. 2. They have a habit of turning their most famous and popular online slots into mobile slots. This means that whilst there are a few that are just great fun, some of the variety feels… old. And frankly, when compared to some other mobile slots, a little basic. Most of the Microgaming slot games for mobile don’t even provide auto spin feature. It’s not earth shattering, but considering that Microgaming was the one that started it all; it could do with a few more impressive features. Now that is out of the way, let us tell you why we love Microgaming mobile casinos. They almost never crash on your iPhone, iPad or Android device. Very reliable software. They are incredibly easy to navigate, with a great swipe function. In a world where mobile and tablet devices feel left out when it comes to mobile jackpots, Microgaming slots provide some of the best progressive mobile jackpots online. Mega Moolah slot. If you haven’t played it, do it. Beautiful, easy to navigate mobile casinos created for the small mobile screen. They deliver a casino Microgaming fans can enjoy on iPads, iPhones and Android based devices. Uses the full screen to showcase the best of its mobile slots and games. Each Microgaming casino might look alike, but you know they’ll work, and therefore the brands will be fighting to provide you the best service and casino bonuses above the rest. Leaves you open to pick your next mobile casino based on its customer service, payout rate and fair gaming policy, rather than your favourite slot games. You can play some of the best Microgaming slots on your mobile. Most Microgaming mobile slots are fantastic. These mobile slots are for the hardened slot player – those who like their casino games long and slow but with big wins. Most of all, if you can find a mobile casino that has Microgaming slot machines as part of the package (and not the whole package) like, Mr Green then that’s the ideal. You’ll then be able to get all the benefits of the great slots games, without suffering the ‘deja-vous’ feeling of playing on another identical Microgaming casino. Plus more mobile slots and games. Isn’t that what it’s all about?